My name is Mel. I absolutely love baking and I am a pastry chef in training. I am currently at culinary school completing a certificate IV in Patisserie. I also work at a gorgeous cupcake shop where we bake and ice the cupcakes fresh everyday. So one of my first quests, is to find the perfect sweet short crust pastry recipe. 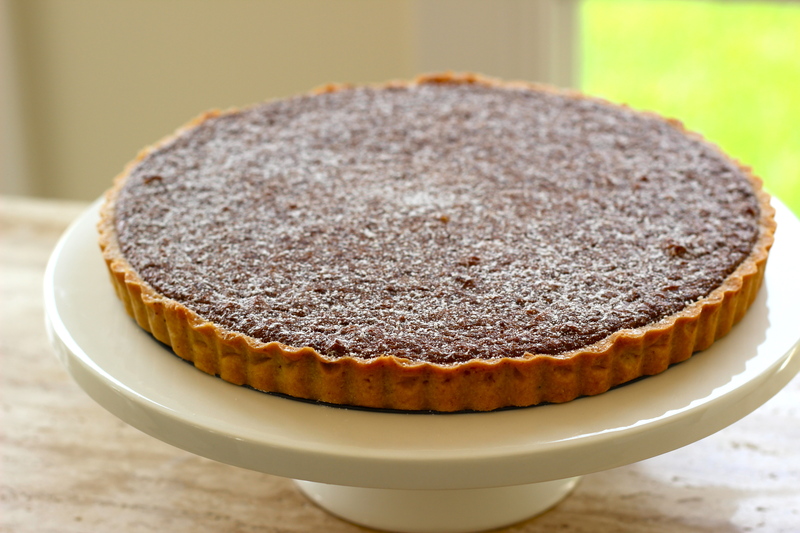 So for each tart/pie recipe I post, I plan on posting a variation of the pastry recipe until I find my favourite! Adapted from the Delicious Sweet recipe book. For the pastry, place the pecans in a food processor and process to fine crumbs. Then combine the flour, sugar and butter in with the pecans until the mixture resembles fine breadcrumbs. Add the egg and combine until the mixture comes together and forms a ball. Form into a disc, enclose in plastic wrap and chill for 30 minutes in the fridge. Grease a 23 cm loose-bottomed tart pan. Roll out the pastry between 2 pieces of baking paper, large enough to fit the tart pan. Press into pan and refridgerate for another 30 minutes. If you have some leftover pastry which is what happened to me, you can make some smaller tarts as well. This can happen if your tart pan is quite shallow. Preheat the oven to 180°C. Line the chilled pastry with baking paper, then fill with pie-weights or uncooked rice and blind-bake for 10 minutes. Remove paper and weights, then return to the oven for a further 5 minutes until golden. While the tart case is in the oven, prepare the filling. For this, place the butter, sugar and golden syrup in a bowl and beat until smooth. Add the egg, vanilla, chocolate and pecan nuts and combine. Pour into the tart case and bake for 30 minutes or until set. 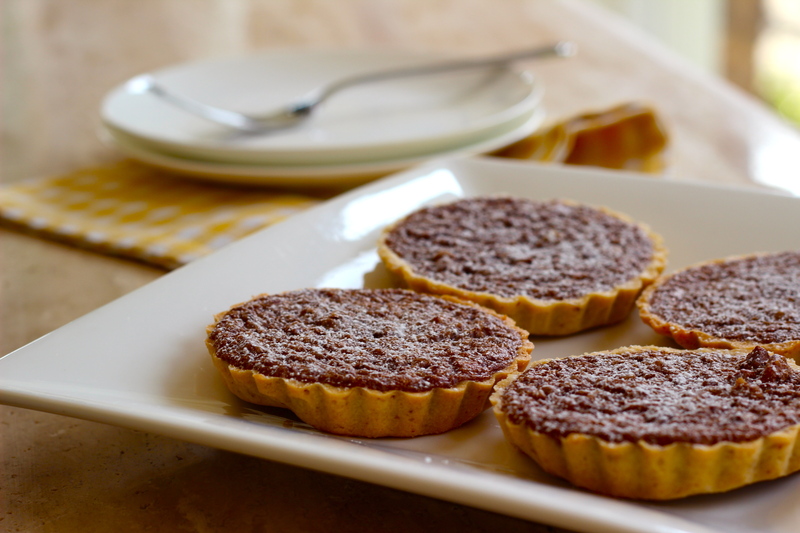 The smaller tarts will take less time to bake. Mine took 15 minutes. Set aside to cool. Congratulations on setting up your new blog Mel. I look forward to reading your future posts, and trying out some of your recipes. Thanks Howie 🙂 I’ll see what I can do about the lo-cal recipes!